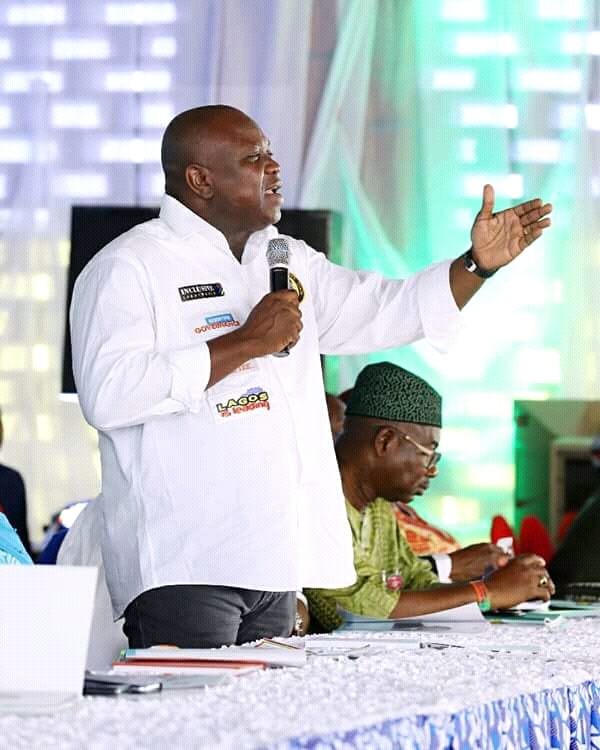 The Executive Governor of Lagos State, His Excellency, Mr. Akinwunmi Ambode recently approved the construction and rehabilitation of more ten roads in Ojokoro Local Council Development Area in a bid to ease the yearnings of the people and to rehabilitate all link roads that were damaged and others that serves as alternative during the construction of Abule-Egba Bridge. On Friday 24th November, 2017, the Special Adviser to The Governor on Commerce and Industry, Hon. 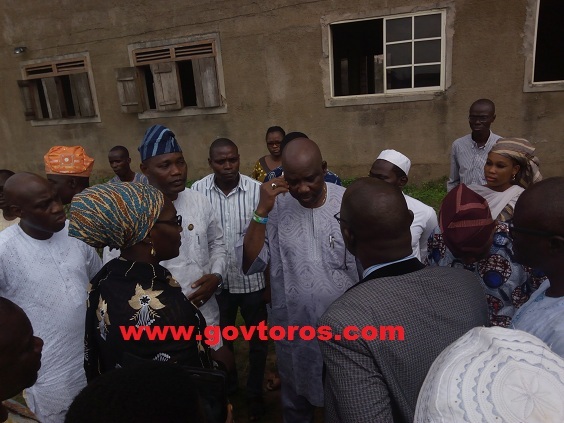 Benjamin Adeyemi Olabinjo who facilitated the approval of the developmental projects, The Executive Chairman of Ojokoro Local Council Development Area, Hon. 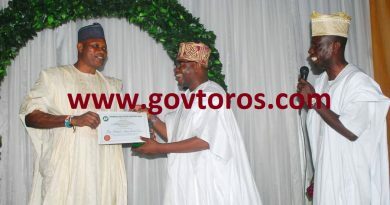 Hammed Idowu D. Tijani (HID) and his team members Hon Olujare Animashaun, Supervisor for Works, Mr. H.O. Davies, Supervisor for Agriculture, Mrs F.E Lawal, Supervisor for Environment and management members of the council visited the ongoing road construction in Ahmadiya where the construction company LARALEC CONSTRUCTION LIMITED needed to meet with managements of Ahmadiyya Hospital, Ojokoro and Anwar-ul Islam Girls’ High School Ojokoro on expansion of the said road. HID, Olabinjo, contractor and entourage at the project site in Ahmadiyya, Ojokoro LCDA. Speaking at the meeting with the management of Anwar-ul Islam Girls’ High School, Hon. Benjamin called for mutual understanding between both parties and emphasizes that he will never compromise on the project because he invited The Commissioner for Works and Permanent Secretary to come and check the state of the road before now and also convinced his Excellency to reconstruct and not just put a palliative measure in place which begot the ongoing construction among others. The council boss, Hon. Hammed appreciated the management of Ahmadiyya Hospital for their cooperation with the Lagos state government and assured that more developmental projects will still come to the domain as his administration will not relent until the good people of Ojokoro LCDA enjoy true dividend of democracy which is the social contract between the people and the government. Group photograph with management of Ahmadiyya Hospital after the meeting. Dr Mashhud Adenrele Fashola, Amir, Ahmadiyya Jamaat, Nigeria also appreciated The Council Chairman, Hon Hammed Idowu D. Tijani and the special Adviser to the Lagos State Governor on Commerce and Industry Hon. Benjamin Adeyemi Olabinjo for deeming it fit to salvage the situation on ground and promised to continue to give supports to the government on developmental projects targeted at making life meaningful for the people. Subordinate upon where the dish is from will pick the kind of protein; shoreline front zone, for instance, will join fish and shrimp, while inland zones may bond chicken, goat, sheep, and cheeseburger (in a general sense wild bull, yet in case a dairy creatures, would be outside of India). How might you walk around the house when you are bothered, hopeless or astounded? When you are empowered, how might you pick up the phone?